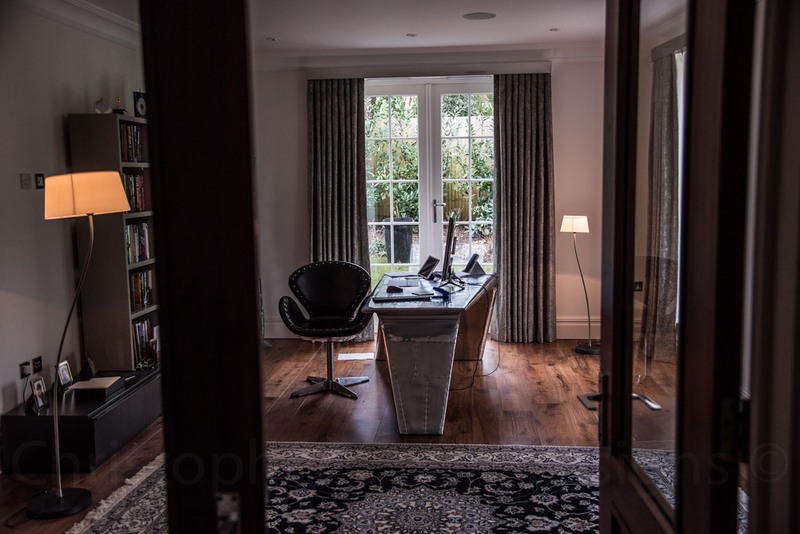 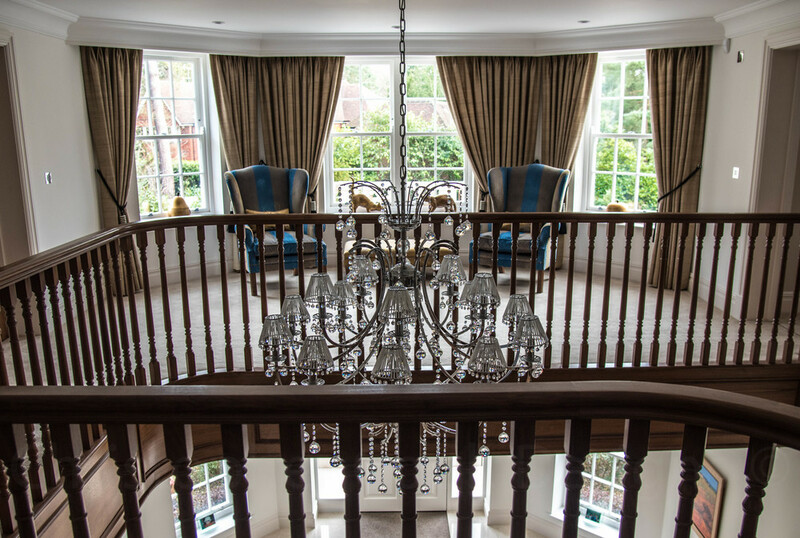 Extravagant hand-finished window dressings styled and supplied by us flow smoothly throughout this new-build family home located in Sunningdale. 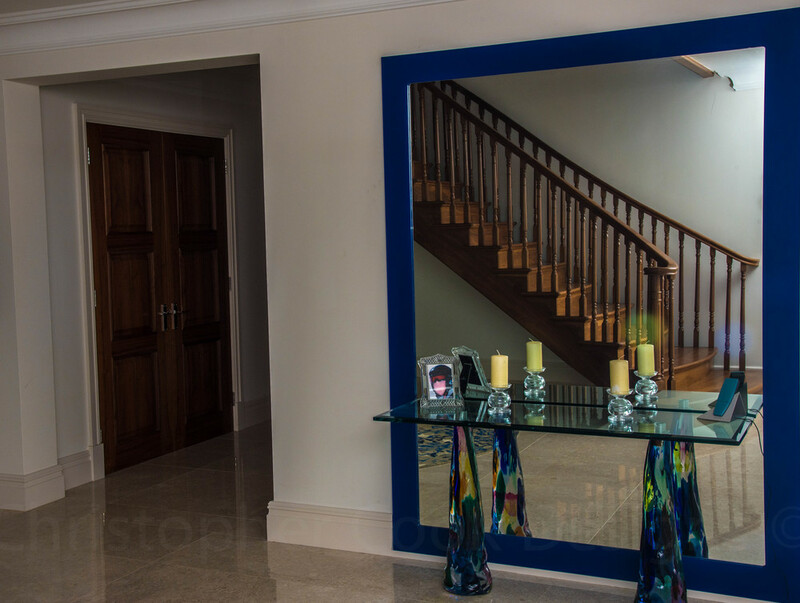 Tasteful silks, mostly in our Client's much favoured tones of blue add sophistication, but without dominating. 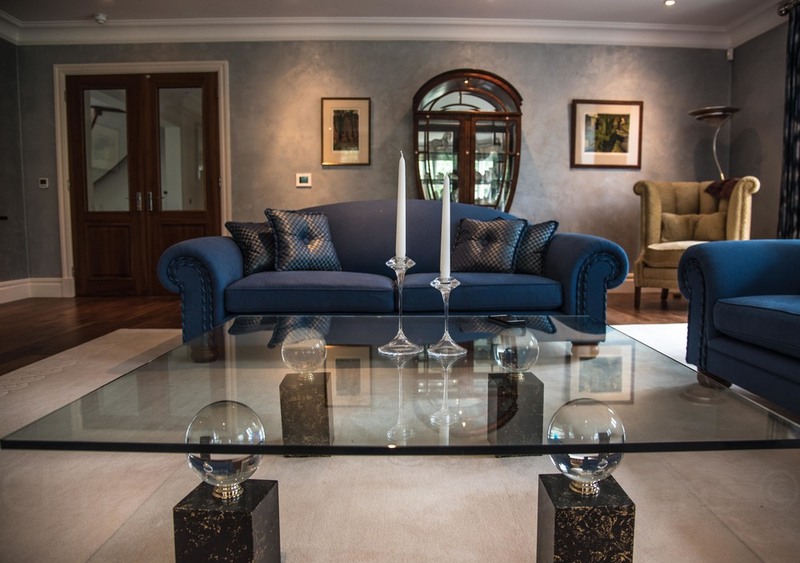 In addition to custom-made rugs, we also added individual pieces of furniture, some in hand - blown Murano glass, others in uniquely hand- painted finishes..